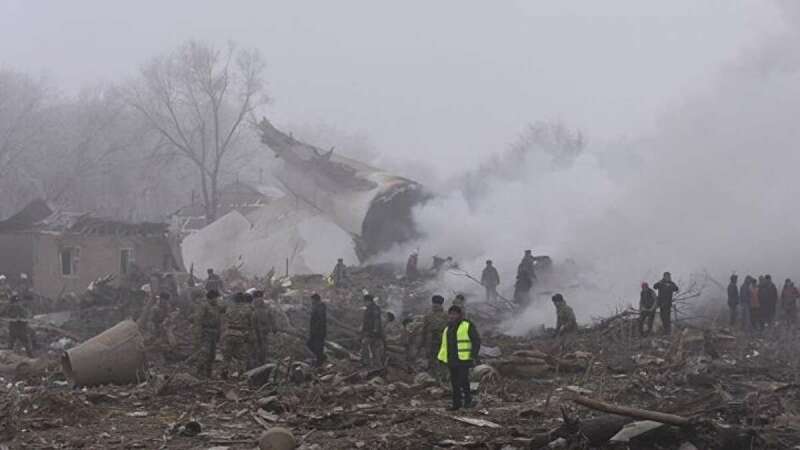 Bishkek : At least 37 people were killed on Monday when a Turkish Airlines cargo plane crashed into a residential area in Kyrgyzstan's capital of Bishkek. "We are confirming data on the number of those killed in the plane crash, lists vary but at least 30 locals and crew members are estimated to have died," a Kyrgyz Emergency Situations Ministry said. It crashedin the village of Dacha-Suu, near the capital city's Manas airport, destroying at least 15 homes. Kyrgyz Health Ministry spokeswoman Elena Bayalinova said: "The pilot died at the scene of the plane crash."